Wisconsin Chimney Technicians provides top chimney services in Hartland. 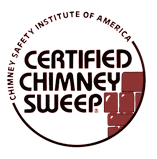 With over 30 years of experience, ongoing training, and CISA certification, our chimney sweep specialists have the knowledge and expertise to take on any chimney issue. In Wisconsin, the long, cold winter can take a toll on your chimney. 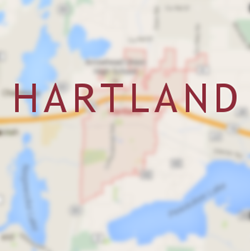 Our Hartland chimney service specialists recommend scheduling routine maintenance every year to ensure your chimney is running smoothly. Whether you need minor masonry repairs, an annual inspection or a full Wisconsin fireplace rebuild, our chimney experts will provide services to keep your chimney in top shape. Long Wisconsin winters keep your chimney working hard, so routine maintenance is essential to ensure your chimney operates in top condition. Heavy chimney use can lead to a buildup of soot, creosote and other debris. If neglected, this buildup can damage the chimney’s inner working and pose a fire hazard. Our Hartland chimney cleaning experts recommend a thorough annual cleaning of your entire chimney to prevent potential problems and keep it operating smoothly. Schedule your yearly cleaning with Wisconsin Chimney Technicians to ensure top chimney performance. Whether you’re looking for minor mortar touchups or a full chimney replacement, Wisconsin Chimney Technicians has wide range of full repair services to restore your chimney to new condition. Our Hartland chimney repair experts provide the best water leak repair, brick repair, flue resurfacing, tuckpointing, and other services to get your chimney back in working order. Even the most minor damage can become worse over time, so be sure to seek repair services from our Hartland chimney specialists as soon as possible. Schedule your next repair or rebuild service with Wisconsin Chimney Technicians to ensure your chimney has a long and healthy life. Long and frigid Wisconsin winters can cause your Hartland chimney to work overtime, resulting in a buildup of soot and other natural byproducts. If not properly cared for, your chimney can become damaged due to this interior buildup. It is imperative you do not use a chimney with a damaged interior as the poor ventilation can result in smoke and harmful gases venting into your home. If your chimney interior is damaged, let our Hartland chimney relining specialists provide a smart alternative to a costly rebuild. Wisconsin Chimney Technicians offers a full chimney relining service utilizing a high quality aluminum insert. This chimney lining will restore the inner workings of your chimney and provide superior performance. Make sure your chimney is prepared to take on the long Wisconsin Winter. An annual chimney inspection is the best way to ensure your entire chimney system is working properly. Wisconsin Chimney Technicians provide superior inspection of every aspect of your chimney. Our Hartland chimney technicians investigate and inspect every piece of your chimney system from the interior flue through brickwork. After inspection, our chimney experts discuss any findings and advise on the next steps to handle current and potential problems. Call our Hartland chimney inspection experts to schedule your yearly inspection and ensure your chimney provides top performance in time for the coldest season. Our Hartland chimney service expertise doesn’t stop at chimneys. Wisconsin Chimney Technicians provides full service dryer vent cleaning. Lint filters don’t always catch every piece of lint and this can lead to a clogged dryer vent. If dryer vents become clogged this can pose a fire hazard, waste energy by causing your dryer to work harder, and prevent clothes from drying in a timely manner. Our dryer vent cleaning technicians will clean the entire dryer vent and restore proper airflow for maximum drying power. If you suspect your dryer vent is clogged, call our Hartland chimney service specialists to restore your dryer to working order. 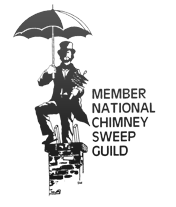 Contact the Hartland chimney sweep specialists at Wisconsin Chimney Technicians to learn more about our comprehensive cleaning, repair, rebuilding and inspection services.